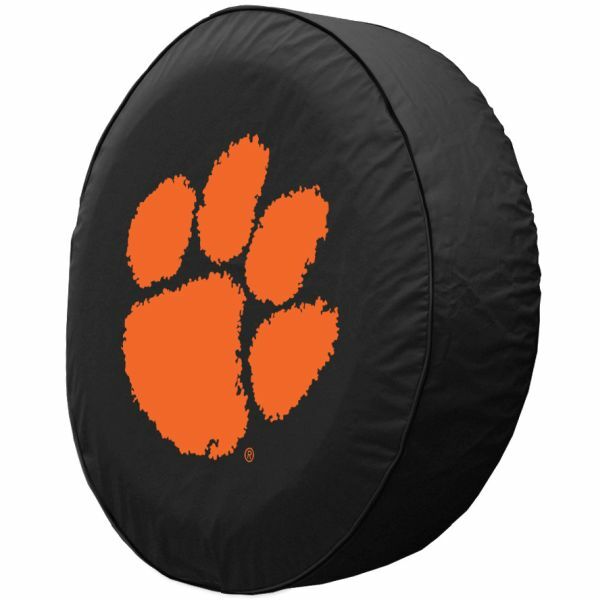 Our Clemson Tigers tire cover features the newer Tigers logo and is crafted to fit spare tires up to 37 inches. Your vehicle is an extension of your personality, and nobody has more personality than dedicated Clemson Tigers fans. 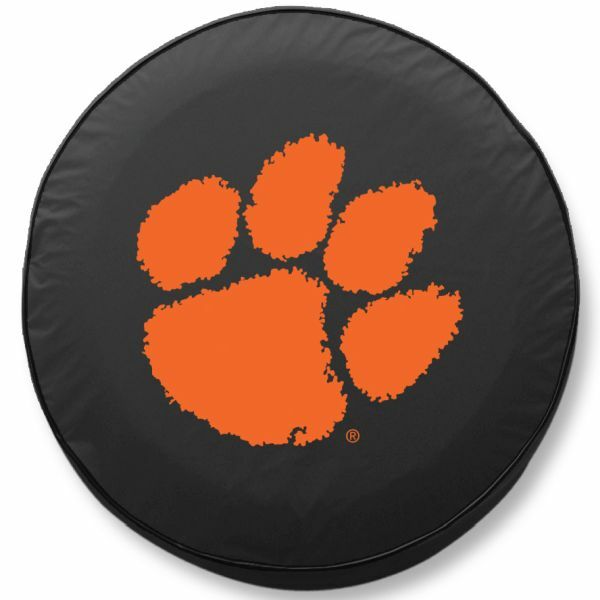 So if you're ready to show your "Tigers" pride, slap this classy black vinyl Clemson Tigers tire cover on your spare and put your enthusiasm on display. Get this Clemson tire cover to protect and decorate your spare tire today! Brought to you by Tire Covers Plus.